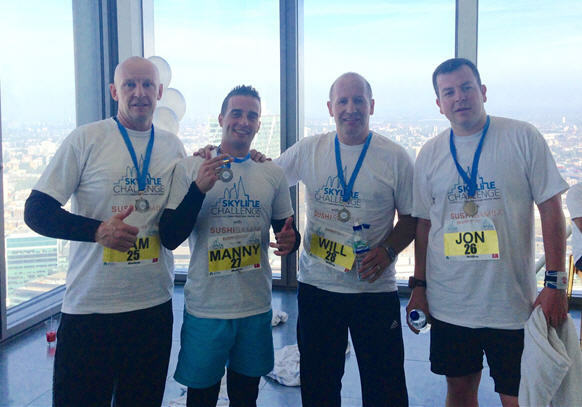 Jon Deas, Manny Rodrigues, Sam Robinson and Will Murray – all working on Taylor Woodrow BAM Nuttall’s joint venture project – were amongst a group of 70 who scaled all 37 floors as part of the Skyline Challenge. The group completed the 755ft feat in a combined time of 29 minutes and 28 seconds, with Manny's time of 6 minutes and 16 seconds placing him 11th overall for the event. Following the race, the team had the chance to meet former England international rugby player and Captain, Phil Vickery, who was on hand to present winners’ medals. Their efforts raised £1,000 for the Construction Youth Trust through both sponsorship and some healthy competition in the form of a site sweepstake.